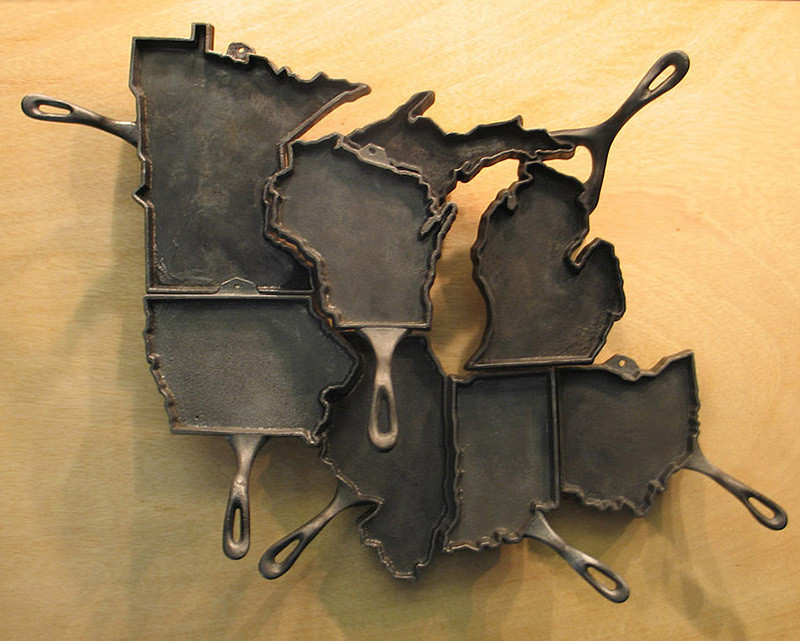 If It's Hip, It's Here (Archives): State-Shaped Hand Cast Iron Skillets by Alisa Toninato Are Fun and Functional. 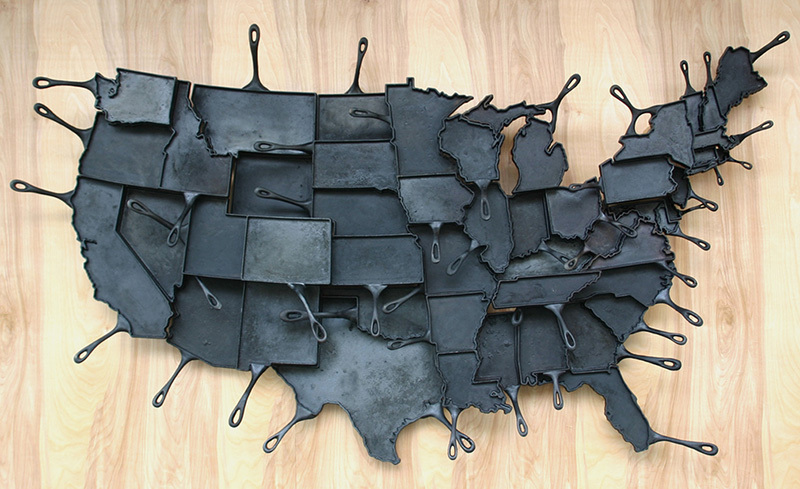 State-Shaped Hand Cast Iron Skillets by Alisa Toninato Are Fun and Functional. 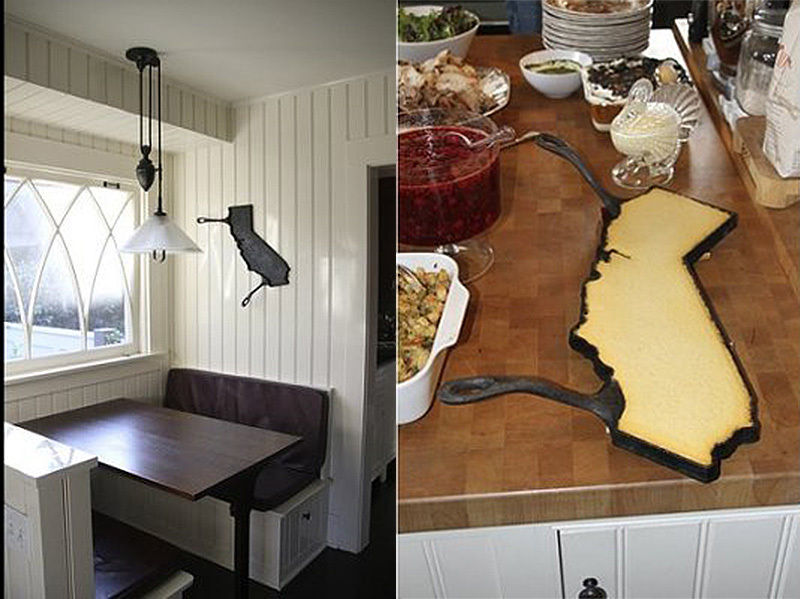 Thirty-year-old metal designer Alisa Toninato, who as been featured on Martha Stewart, creates handmade substantial and beautiful examples of craftsmanship with iron skillets in the shape of each of the 48 contiguous United States. 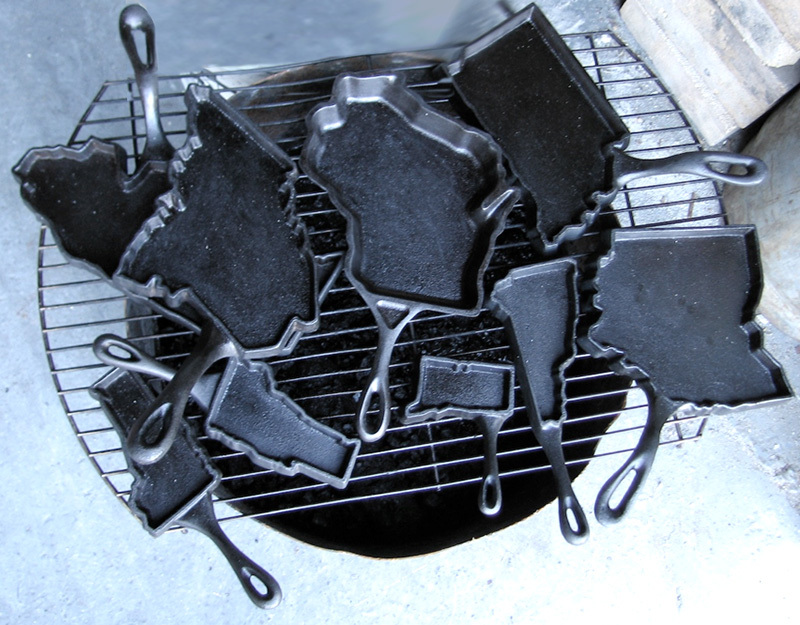 Her Madison, Wisconsin studio named FeLion (that's FE, the chemical symbol for Iron and Lion represents the sign, Leo, under which the artist was born) creates iron art that is a functional example of a design concept blended with utility. 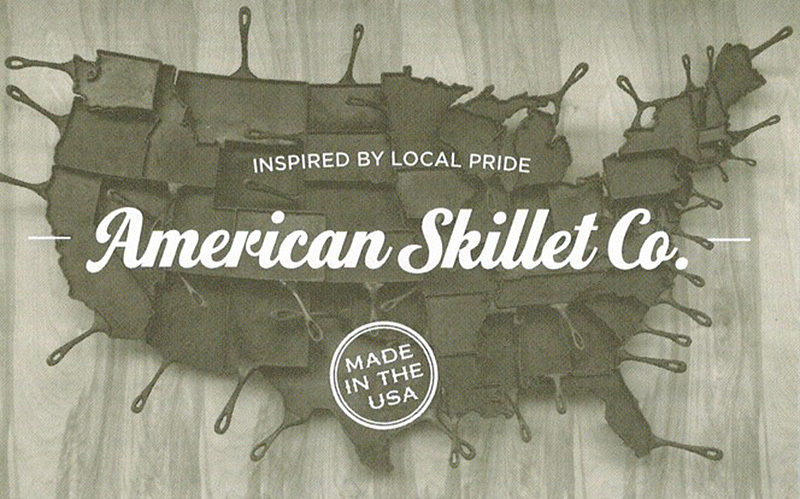 Every state-shaped skillet from her Made In America collection, is labeled with the FeLion Studios logo on the back, and stamped with a production number. 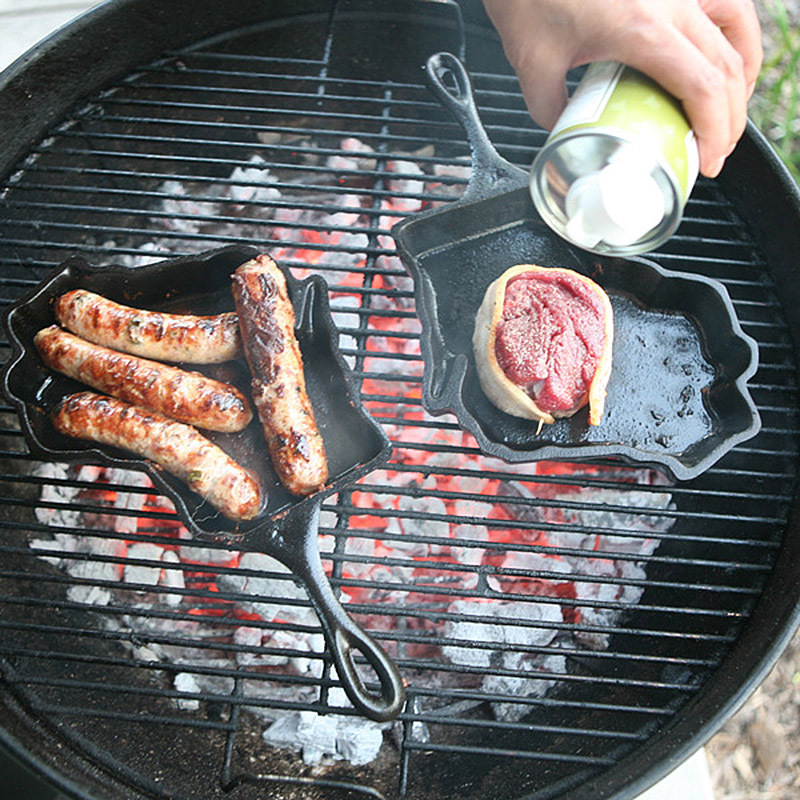 The iron skillets can be shipped "raw" or "seasoned" and come with a custom made magnetic hanger for display. 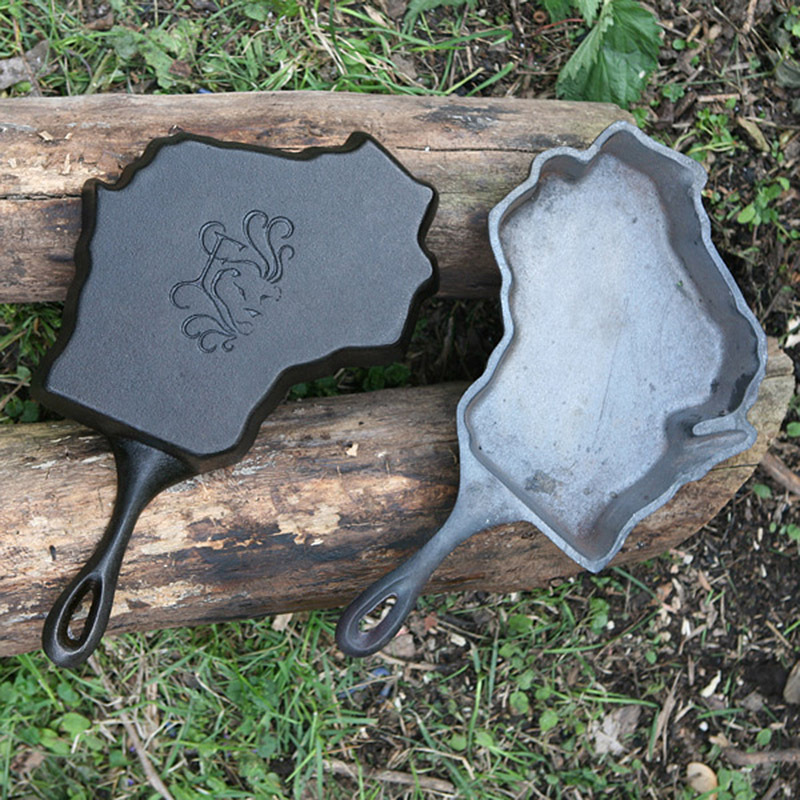 All pans are made to order, and will be shipped in a timely fashion after the day its poured, approximately 6-8 weeks from the day of order. Please contact the artist for multiple state-pan orders. 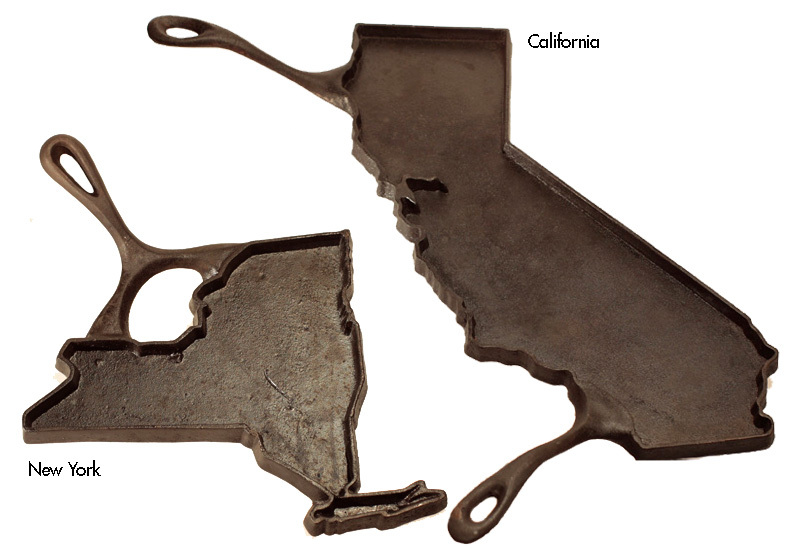 Also, visit the “Geographic Compositions” page for examples of several skillets composed into regional maps, such as the Midwestern set shown below. 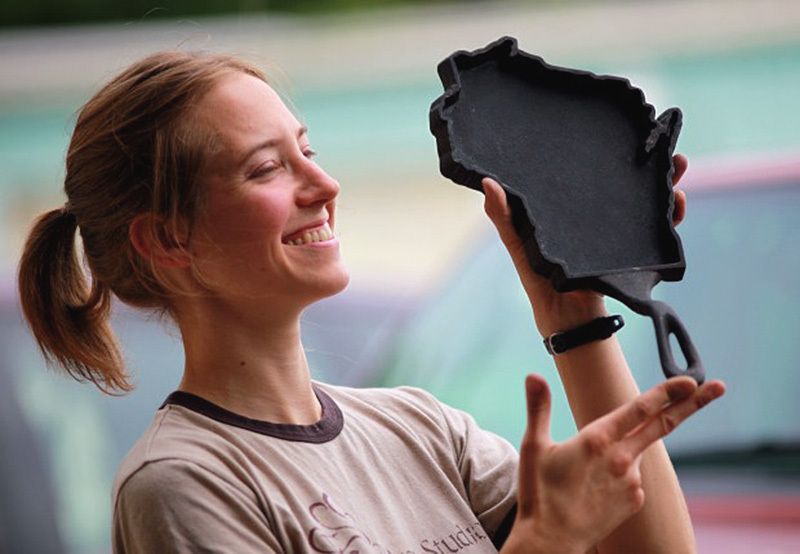 A 2005 graduate of the Milwaukee Institute of Art & Design, Alisa Toninato's credits include an internship with Chicago public artist Jin Soo Kim & experience as a thematic sculptor with the design & fabrication firm Cost of Wisconsin building zoo & aquarium habitats. 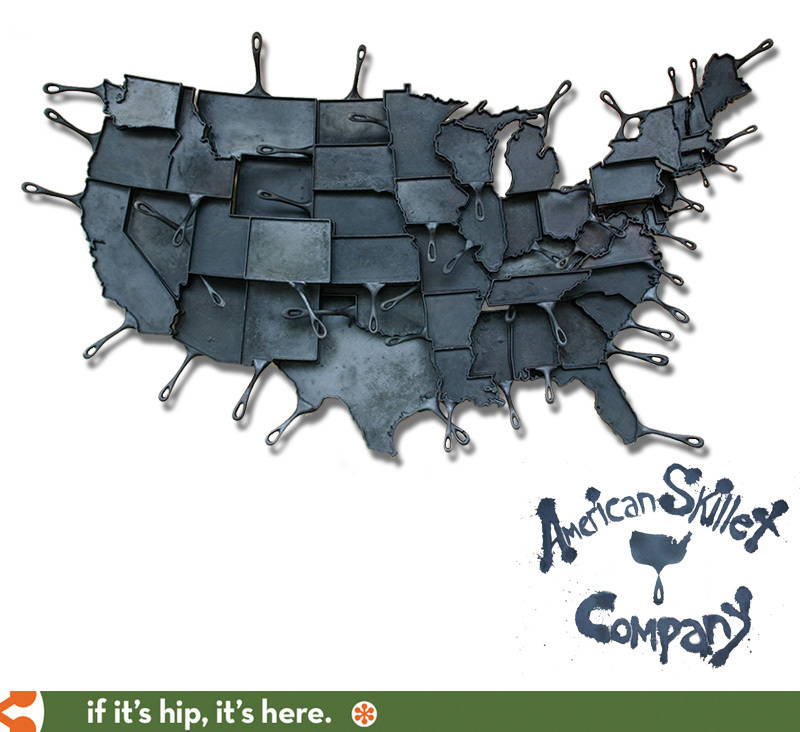 Her full map consisting of 48 contiguous state-skillets of America (above) was part of the 2011 ArtPrize exhibition in Grand Rapids Michigan, and made it into the top 25 among artists in the Center City neighborhood. Those are so cool. I hope someone makes some for each providence of Canaada.